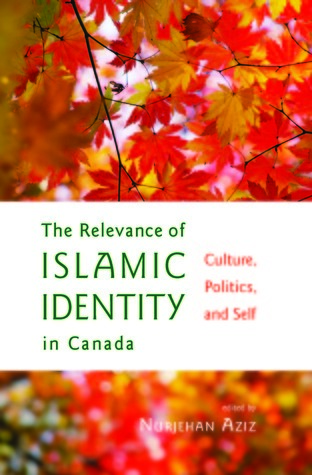 This book promises to showcase various perspectives on what it means to be Muslim in Canada and to discuss its relevance. I was disappointed when I realized that that is not the case. In this book you will find essays written by individuals who may define themselves as Muslim (one of them being an agnostic.... really? In a book that discusses Muslim identity? ), but do not represent mainstream Muslim thought in Canada. While I found reading the various points of view interesting, this book failed to provide a real discussion on what it means to be Muslim in Canada. I did, however, appreciate the discussions on islamophobia and thought it was well articulated and timely. Nurjehan Aziz - Nurjehan Aziz was born in Dar es Salaam, Tanzania, studied in Iran and the United States and immigrated to Canada in 1980. She is a co-founder of The Toronto South Asian Review, now The Toronto Review, of which she is an editorial board member. She is the publisher at TSAR Publications.